One of the most basic human needs is warmth. Without it, bodies cannot thrive. Thanks to advances in technology and home heating systems, achieving comfortable temperatures is as simple as flipping a switch. Ancient civilizations didn’t have it as simple. For those who migrated to the world’s cooler regions, the sun did not provide enough warmth to live. Through sheer ingenuity, humankind’s early ancestors learned how to harness the power of fire, as well as use the Earth and sun to heat their homes and kingdoms. Using the principles that these forefathers established, humans have developed heating systems that keep families comfortable through even the most frigid winters. 1,900,000 BC: Humans begin using fire to cook food. Archaeologists believe that humans may have used fire in a controlled fashion around this time, but evidence of such only dates back to about 100,000 years ago. In the oldest arrangements discovered, humans created central fires in homes that had openings in the roof for smoke to escape. 42000 BC: Neanderthals in the modern day Ukraine build hearths using mammoth bones. 7500 to 5700 BC: Neolithic Çatalhöyük settlements in Turkey use open hearths in homes and buildings. 3000 BC: Romanian settlers use braziers to heat homes. 2500 BC: Greeks in ancient Rome develop central heating using radiant heat. In the excavated Temple of Ephesus, archaeologists discovered flues in the ground that circulated heat produced by a fire. There is also evidence that the Roman Empire used central heating systems, as some buildings, baths, and upper-class homes had hypocaust furnaces that heated empty spaces under floors that connected to pipes in the walls—the first form of radiant heating. 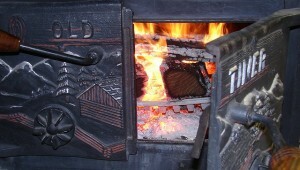 Different cultures also developed similar furnaces, which became more efficient with time. AD 400: After the fall of the Roman Empire, heating methods reverted to more primitive-style fireplaces. AD 800: Stoves made of clay make their first appearance. AD 1200: Cistercian monks in Christian Europe revive central heating using river diversion and wood-burning furnaces. The first chimneys also appear at this time. AD 1400: Masonry stoves appear and become common by the 1500s, which is also when chimneys become more refined. AD 1624: Louis Savot of France invents the circulating fireplace with the creation of a raised grate that promoted airflow. 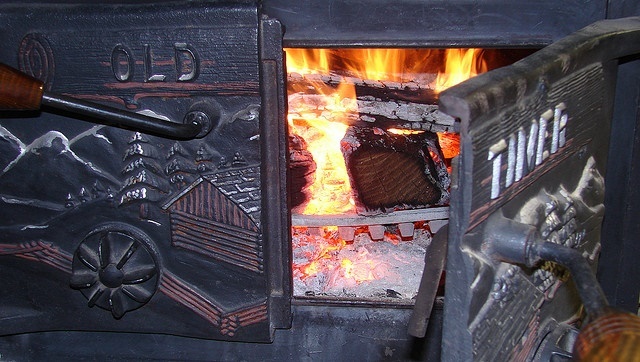 Early 1700s: Individuals in England use combustion air from an outside duct. Around the same time, Russia’s Peter the Great enjoyed the earliest hot water, air-heating systems in his Summer Palace. AD 1741: Benjamin Franklin invents the Franklin stove, which was more efficient than other stoves used at the time. Late 1700s: James Watt of Scotland develops the first working steam-based heating system for his home using a central boiler and a system of pipes. AD 1805: England’s William Strutt invents a warm-air furnace that heated cold air. The heated air traveled through a series of ducts and into rooms. Around the same time, homes in France used firetube hot air furnaces. AD 1883: Thomas Edison invents the electric heater. AD 1855: Russia’s Franz San Galli invents the radiator, the first major step toward modern central home heating systems. AD 1885: Warren Johnson patents the first thermostat. AD 1919: Alice Parker patents the first central heating system. AD 1935: Scientists invent forced convection wall heaters that use a coal furnace, electric fan, and ductwork throughout a home. Late 1940s: Robert C. Webber creates the direct exchange ground-source heat pump. AD 1990: SolarWall invents solar air heating. AD 2000: The advancement of “smart” technologies allow homeowners to regulate heat in their homes remotely using electronic devices. Today’s home heating systems are based on ideas and designs that date back to the planet’s most ancient civilizations. Thanks to forward thinkers throughout history, safe, effective heat is only as far away as the thermostat or a smartphone. At AAA Heating & Cooling, we want to make sure your home is as comfortable as possible throughout the year. Contact us today to learn more about the home heating systems available.